The day has come. Okay, not quite. But you've waited a long time for Android apps to come to Chrome OS. You've left comments. You've replied to comments. You even left more comments. Now your work is being rewarded. 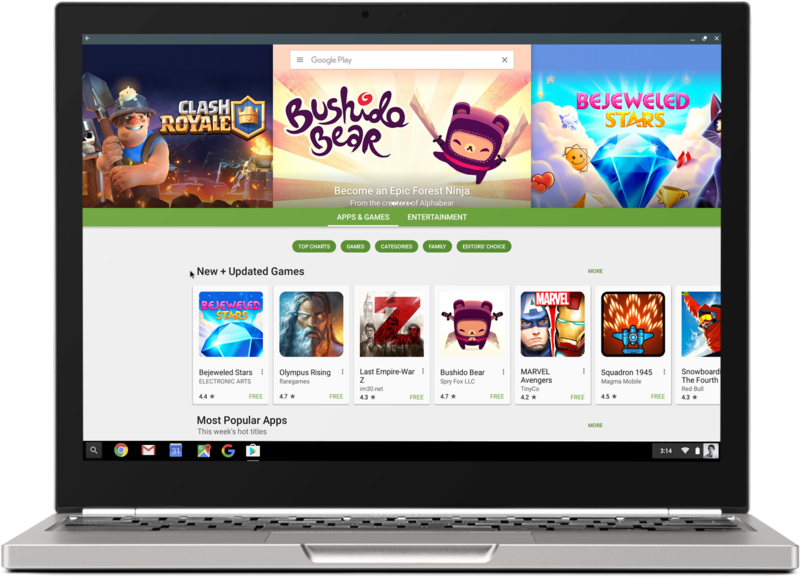 As we've all recently heard, Google plans to bring the Play Store to Chromebooks. At Google I/O today, the company has made things official. Like everything in Chrome, the feature will first arrive in the developer channel. Certain touch-enabled Chromebooks should receive the capability in the M53 Dev version starting in early June. The stable channel can expect the goods to arrive in September or October. Google wants this to be an experience that "just works," for developers and users alike. Apps will appear in three different window sizes, so don't try to resize. You can multi-task and move windows around. Apps should register keyboard, mouse, and touch inputs together. Integration also extends to notifications, sharing files, and detecting both Wi-Fi and Bluetooth. According to Ars Technica, this functionality isn't using the App Runtime for Chrome (ARC), which Google started experimenting with two years ago. ARC ran on top of Chrome's native client architecture. Ultimately app developers still had to do too much work, from Google's perspective, to make this situation viable. Instead, an unmodified version of the Android Framework will run in a container. Apps will be able to access connectivity, storage, sound, and other aspects of the broader OS. Google updates the Chrome OS Android app framework directly, and the Chrome team has committed to keeping up with Android's monthly security updates. As big as this news may be, not everyone wants Android apps. 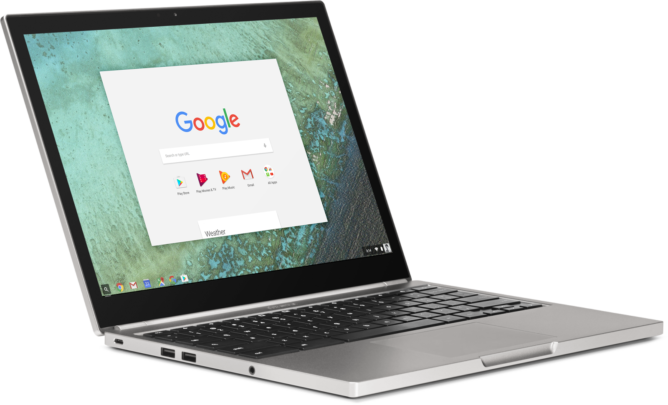 Many buyers, such as schools, value Chromebooks because of their simplicity and their ability to be easily locked down. For this reason, Google is providing the ability to whitelist apps or block Play Store access entirely. The Asus Chromebook Flip, 2015 Pixel, and Acer Chromebook R11 will be the first devices to receive support in June.